Enjoy this colorful summer salad when blackberries are at their peak. 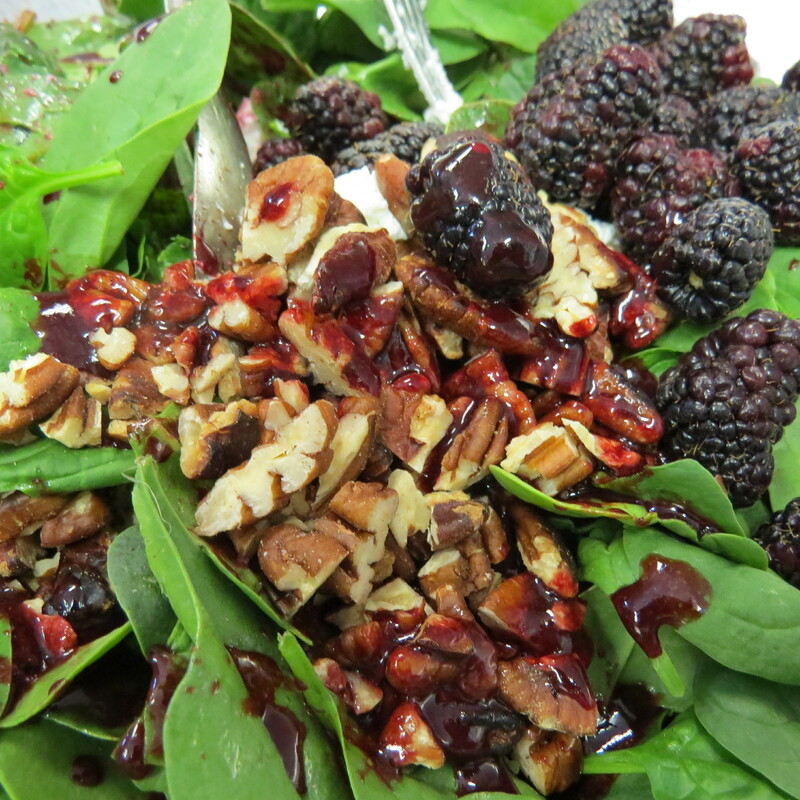 To Make Blackberry Balsamic Vinaigrette: Whisk together all ingredients until well-blended. Season with additional salt and pepper if needed. Tip: To make the *blackberry juice, just puree blackberries in a food processor or mash with the back of a spoon. Strain through a fine-mesh sieve. Toss together spinach, chevre, walnuts, and blackberries. Drizzle with the blackberry balsamic vinaigrette. Posted in Recipe and tagged Blackberries, Dallas Farm to Table, garden recipe. Bookmark the permalink. where is the fresh sage? I think that went on the sandwhichs-finishes them off just right.